We are here for you business, family, and estate planning legal needs. Our Mission is to provide the following to all of our clients: excellent legal work, attention to the client's issues and opportunities, and competitive legal fees. Nichols & Rabuck, P.C. was established in 1992 in Sioux Falls, South Dakota. Since its inception, our firm has provided excellent legal advice to clients in the area, with a touch of personal service. Our attorneys each bring something unique to the table. Steve was a social worker before he became a lawyer. Jack has an MBA and focuses on cutting edge legal issues affecting businesses. Dan is a landlord and real estate investor. Dan also worked for the South Dakota Real Estate Commission before entering the private practice. Our support staff is friendly and will make your experience working with Nichols & Rabuck an excellent one. We are your attorneys for your business, family, and estate planning needs. Bankruptcy is a unique practice of our firm. We strive to guide people through this process as professional advocates and to provide services at competitive fees for our clients. We believe everyone deserves a second chance. While Daniel J. Nichols and Steven K. Rabuck have experience handling bankruptcies, Jack J. Nichols is the attorney who handles most our bankruptcy issues. While in law school, Jack received and award for best grade in the class for Bankruptcy, and offers thorough and customer-service-driven assistance through the process. We are a great team to work with and will help you get the fresh start your deserve. Nichols & Rabuck, P.C. has been advising business clients for over 30 years in the Sioux Falls, South Dakota area. We offer practical solutions. We do not inflate the price of legal bills simply because you are a business client. Dan Nichols has been advising corporate clients for over thirty years and he himself is a businessman, landlord, and commercial real estate owner. Jack Nichols earned his MBA from Creighton University, and takes a scholarly interest in business strategy, marketing, and the legal issues of formation and contract negotiation. Our attorneys bill businesses at fair rates and give them what they need to be secure. We advise people of their rights in contracts and we are effective negotiators when deals need to be done. Let's get your business going. Let's get deals done. We try to be general in our practice, because we believe it provides value to our clients. We believe being well-rounded attorneys allows us to assist with a client's needs over the span of time, which in turn develops relationships. To cover several practice areas we leverage years experience and technology that provides access to cutting edge and developing areas of the law. Each of our attorneys has specialty areas, but we encourage broad practices because it develops perspective and dynamic thinking when approaching a problem. Our lawyers have experience with multi-million dollar companies and mom-and-pops. We deal with families of all shapes and sizes. When you work with Nichols & Rabuck, you will get excellent legal advice, attention to your issues and opportunities, and competitive legal fees. I grew up in Sioux Falls, SD and graduated from O'Gorman High School in 2004. I am happy to call South Dakota my home. I always wanted to practice law, growing up with Dan Nichols of Nichols & Rabuck, P.C. as my father. I studied history in undergrad to develop reading and writing abilities. I then moved to the great city of Omaha, Nebraska where I studied law and business at Creighton University. Studying business, I think, is one of the best value-adds I have as an attorney for my business clients. In 2012 I graduated and moved from Omaha back to Sioux Falls. January 1, 2014, I joined Nichols & Rabuck, P.C. to practice law with my father, Dan Nichols, and Steve Rabuck, a reputable and talented attorney here in Sioux Falls. I strive to provide clients with creative, practical, and dynamic solutions. Daniel J. Nichols graduated from the University of South Dakota with degrees in Political Science and History. Law School and Real Estate Commission. In 1978, Dan graduated from the University of South Dakota School of Law. Upon graduating, Dan served as legal counsel for South Dakota Real Estate Commission, in Pierre, South Dakota. 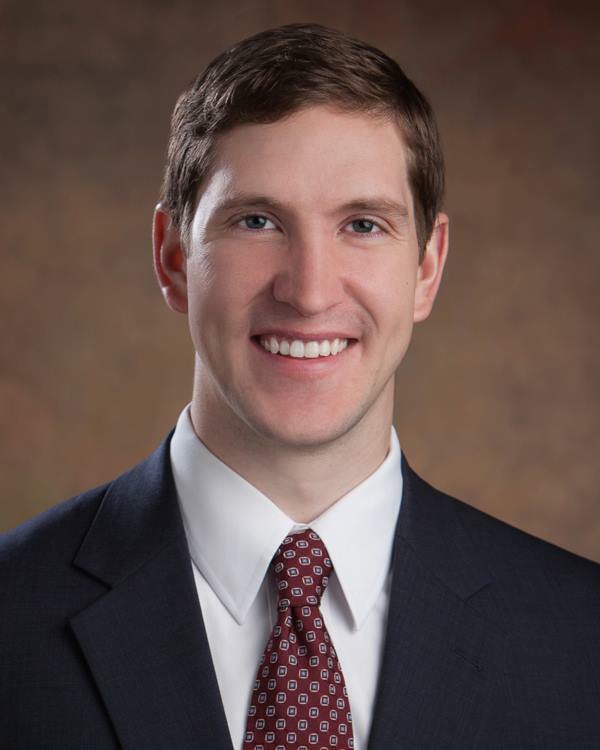 Since 1982, Dan has been in the private practice of law in Sioux Falls, South Dakota. 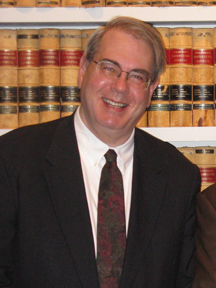 At Nichols & Rabuck, P.C., Dan is a senior partner. Dan has also served on the South Dakota Board of Pardons and Parole, including holding the position of Chairman of the Board from 2000-2001. Dan has drafted and negotiated hundreds of contracts of various natures, including preparing business agreements; Dan has also litigated contract disputes. Preparing wills, powers of attorney, living wills, living trusts and other estate planning documents is an area Dan is proficient in. He has also successfully probated numerous estates and has litigated probate and will disputes. Steven K. Rabuck graduated from the University of South Dakota with a degree in Social Work and a minor Biology in 1976. After matriculating, Steve began work as a social worker for the Educational Unit at Redfield State Hospital and School. A Career Change to the Law. In 1979 Steve began working for South Dakota Department of Social Services, still as a social worker. In the five years Steve worked as a social worker, he developed a keen ability to work with people in crises and assist people with problems. This experience convinced Steve that a career in the law would be an opportunity to apply his problem-solving abilities in a private practice setting. Steve graduated from the University of South Dakota School of Law in 1981 and joined Andrea Law Office in Chamberlain, South Dakota, as an associate. Steve worked there for 11 years trying cases and assisting clients with family law matters. Steve also successfully represented clients charged with criminal offenses. Moving the Practice to Sioux Falls. Steve has handled numerous misdemeanor and felony cases in both state and federal courts. 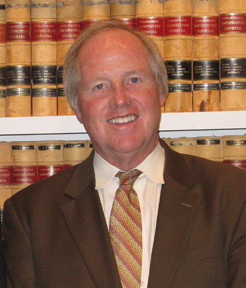 Within both state and federal courts, Steve has represented clients in jury trials and appeals. Steve has deep and broad experience in assisting legal needs associated with families, including divorces, child support cases, visitation issues, custody disputes, and adoptions. Steve has represented numerous clients in personal injury cases and is willing to work on a contingent fee basis. Steve represents clients in contract, real estate and other types of civil litigation, including habeas corpus, and has substantial experience in litigating those issues. Steve has prepared hundreds of deeds, contracts for deed, purchase agreements, and other various real estate documents. Steve also represents clients when a real estate matter become disputed. Steve has put together estate plans from large to small, simple to complex. He is proficient and contemplative when drafting wills, powers of attorney, living wills, trusts, living trusts and other estate planning documents. Steve has also probated numerous estates. "My goal is to provide competent legal representation for a reasonable fee. I look forward to assisting you."